The most eagerly anticipated entry in the DC Extended Universe (DCEU) is finally here. And after four movies (and not nearly enough backstory between them), comic book fans and moviegoers in general get to witness the superhero team up meant to rival Marvel's The Avengers. So how does it measure up to Marvel's beloved franchise? Read on to find out as I try to answer just that in my non-spoilerific take on the movie. Justice League is set about a year after the events of Batman v Superman. Superman has been gone for all that time, while Batman has been busy trying to assemble a team of metahumans to staved off the threat he foresaw in a vision from the previous movie. And just like clockwork, it isn't long into the movie before that threat manifests in the form of Steppenwolf and his army of Parademons. Their mission, it seems, is to bring forth some sort of apocalypse, which involves the joining together of three ancient artefacts known as Mother Boxes. Sounds familiar? 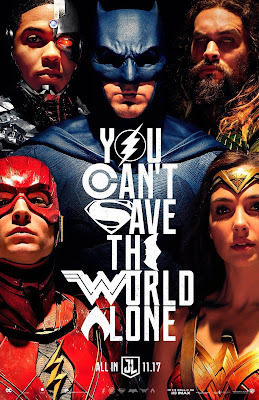 The movie does what it can to introduce the members of the Justice League within its two hour runtime, but once again, the franchise's greatest shortcoming is not allowing for enough room to explore the arcs and backstories of these individual characters, Flash, Cyborg and Aquaman most especially. There is also that palpable sense that the directors (Zack Snyder and Joss Whedon) had made a concentrated effort to lighten the tone of the film, making the shift jarring in places, but it works for the most part. 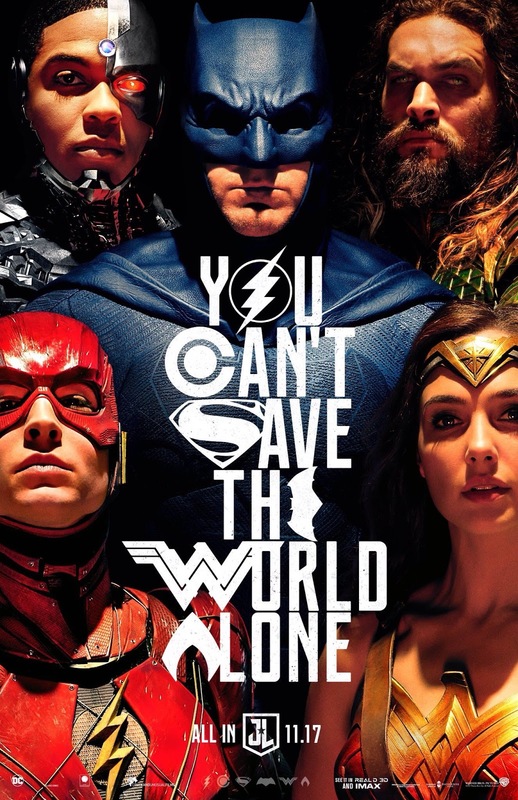 I have to admit that I went into Justice League with lowered expectations, after the huge disappointment I suffered after Batman v Superman and Suicide Squad. And all through its overdone, cartoony CGI, and hard-to-follow action sequences, I kept asking myself one question: was it any good? The answer to that question is a reassuring yes. I mean, this is the moment every DC fanboy has been waiting for. And while the film isn't without its fair share of flaws, it is still a general step in the right direction and a hopeful indicator of things to come. Up until now, the Thor movies haven't exactly been seen as one of the finer entries in the Marvel Cinematic Universe, with the last one generally considered as a low point for the MCU. Well, all that changes with Thor: Ragnarok, the third entry in the franchise. The new movie benefits from a lighter, comedic tone first introduced in the Team Thor short films that preceded it, even as it pushes the overall narrative forward ahead of next year's Avengers: Infinity War. Set two years after the events of Avengers: Age of Ultron, the movie opens with an imprisoned Thor (Chris Hemsworth) engaged in a battle of wits with the fire demon Surtur, who is determined to bring about the titular Ragnarok, the prophesied end of Asgard and all things as we know it. He manages to defeat the demon, and returns home only to find his brother Loki (Tom Hiddleston) posing as their father, Odin (Anthony Hopkins). Loki reveals that he'd placed his father under a spell, and left him in a since-demolished nursing home on Earth. And with the help of Doctor Strange (Benedict Cumberbatch), they locate him somewhere in Norway. 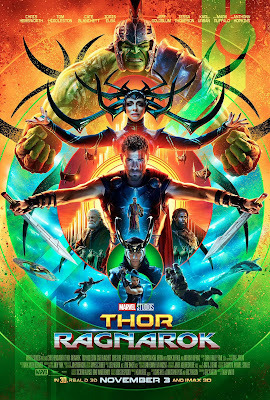 But all isn't well with the former ruler of Asgard, who reveals that he is dying, and that his death would undo the seal that has kept their sister, Hela (Cate Blanchett), the goddess of death imprisoned for so long. He passes away and Hela returns to reclaim her rightful place on the throne of Asgard, defeating Thor and sending him to the planet Sakaar, where he is once again imprisoned and forced to fight as a gladiator for the entertainment of its people and their grandmaster (Jeff Goldblum). It is there that he reunites with his fellow Avenger, Hulk (Mark Ruffalo), the reigning champion, and he tries to convince him to help, to hilariously comedic results. Thor: Ragnarok does for the Thor franchise the same thing Captain America: Winter Soldier did for Captain America; it takes the franchise in a bold, new direction. It was no doubt the most fun I've had in an MCU movie till date, surpassing even the likes of Guardians of the Galaxy Vol. 2 in sheer number of gags and creative use of licensed music. Director Taika Waititi has proven that the success of his well-received Team Thor short films was no mere fluke. Here's hoping that he gets another stab at the franchise, before Thor hangs up his cape and (what's left of his) hammer for good.